One of the most prominent figures in the cerdd dant scene in the second half of the twentieth century is Aled Lloyd Davies – the society’s historian. In his book Hud a Hanes Cerdd Dannau he notes 1947 as the start of a renaissance. This is the year that the first Cerdd Dant Festival was held in Felinheli. “From that date the society can be seen to be developing, growing in membership and influence and widening the scope of its interests,” he said. Weekend courses and summer schools were organised, and by the early eighties the Society had 850 members. The publishing of Aled Lloyd Davies’s Manual Llawlyfr Gosod in 1983 was an event of immense importance – this was the most comprehensive and detailed manual ever published. During the twentieth century cerdd dant changed quite substantially. At the beginning of the century, it was confined to individual singers only. Then duets and small parties began to appear. Later on trios and quartets were formed, and then, from the 1970s onwards, cerdd dant choirs began to appear for the first time. The choir competition developed into one of the most popular, and it is no coincidence that this was the most succesful period ever in terms of competitors and audiences. In the 1950s it was still possible to hold the Cerdd Dant Festival in a small village hall such as Penybontfawr, but soon after much larger halls had to be found. The festival began to appeal to the television and radio media, and throughout the nineties S4C broadcast the festival live on a regular basis. At the same time as this expansion, several attempts were made to widen the scope of cerdd dant, to develop and to innovate. 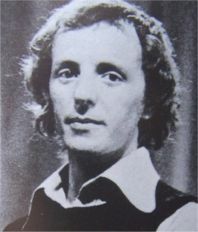 One person who made quite an impression was Gareth Mitford Williams, a native of Anglesey who became the leader of the Panycelyn Hall of residence cerdd dant choir in Aberystwyth in the early eighties. His new and adventurous settings (deliberately dissonant at times) shook the cerdd dant scene to its foundations and caused heated debates. Unfortunately Gareth died young, but he made his mark and his influence spread. More recently, new completely untraditional melodies have been composed by people such as Bethan Bryn; more and more prose is being set to cerdd dant, and the frontiers have been pushed even further by people such as Einion Dafydd (for the Glanaethwy school). At the start of the twenty first century it is not easy to predict the direction which cerdd dant will take from now on. Some feel that the innovations have gone as far as they can go and that they cannot move any further; others feel that the roots and foundations should be re-visited more often and that the more light hearted and informal type of penillion singing should be encouraged. The art of cerdd dant is inextricably bound up with the Welsh language itself, and so the future of one is dependent on the other. It also depends on the will of the Welsh people themselves to defend their heritage and to resist the strong outside influences of the modern age. 1. 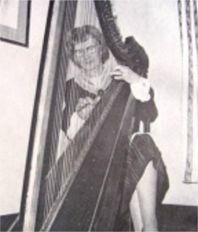 Up to the 20th century cerdd dant was sung by individuals only – no duets, trios, parties or choirs existed. 2. It was an improvisatory art: no one bothered to compose and learn a setting or counter melody before singing it. 3. The emphasis was almost entirely on the words. By today, much more prominence is given to the music. 4. Very few females sang cerdd dant. By today, females are in the majority. 5. It was a much less respectable art then than it is now, in some circles at least! 6. There were no set rules agreed by any organisation or conference. around 50, it would appear. By now there are almost 600.